This event is now over. Check the What's On for upcoming events! Join us for the BIT’s musical theatre open-mic night, with live piano accompaniment! 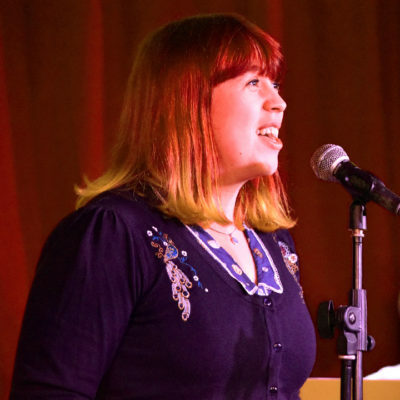 From performance pros to absolute beginners, this is a welcome-all night where anyone can get on stage to share their favourite songs and stories. Regale us with a classic, or introduce the room to a musical they’ve never heard of. If you’re not quite ready to jump on stage and take the mic, there are still chances to join in with barnstorming group numbers! Friendly compering provided by Caitlin Campbell, musical stylings courtesy of Sara Garrard. Want to sing at La La Bar? Contact Caitlin at caitlin@improvtheatre.co.uk, before Thursday 6th September. The Bristol Improv Theatre Ltd. General Terms & Conditions Psssst... have you subscribed to our Newsletter?